Do you ever wonder what happens in a museum after the visitors have left? 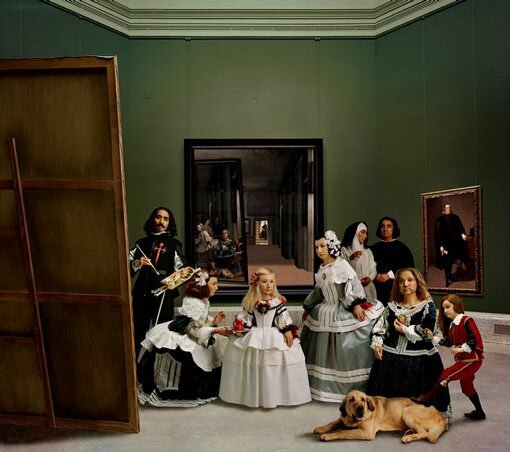 In 2013, Japanese photographer Yasumasa Morimura was granted after-hours access to photograph in the famous Velázquez room in Madrid’s Museo del Prado. The resulting series, Las meninas renacen de noche or Las meninas reborn in the night , fulfils the fantastical notion that objects in a museum come alive at night. It’s a major artistic achievement by one of the world’s most significant and influential contemporary artists, and all of us here at the Art Gallery of NSW are very excited to welcome this body of work into the collection. 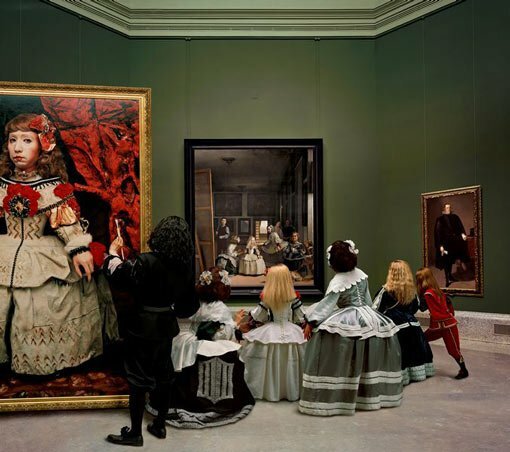 The series imaginatively dissects and reconstructs Diego Velázquez’s 1656 masterpiece Las meninas (maids of honour) , possibly the most analysed painting in Western art history. In Velázquez’s painting, the distinction between reflection and representation is ambivalent and the question of who is looking at who remains unresolved. Morimura inserts himself into the painting’s complex network of mirroring, gazes and sightlines and weaves a narrative of appearance and disappearance. As is usual in his work, Morimura plays all of the characters with the aid of prosthetics and costumes. Masquerading as both the painter and his subjects, multiple Morimuras traverse the pictorial field, moving in and out of the frame before vacating the scene altogether in the final photograph. It is the first time Morimura has played himself staring at a work of art (in the second photograph in the series, reproduced below) and also the first time he has used an actual location, rather than a constructed set. Our purchase of this major series was made possible by Gallery’s Foundation with support from the John Fairlie Cuningham Bequest. 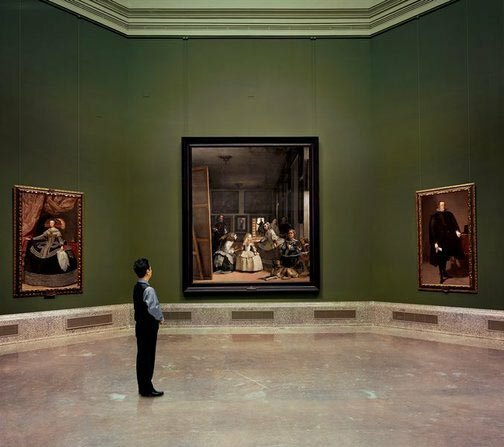 At the same time, a smaller, related work In praise of Velazquez: distinguished ones in confinement , also from 2013, has been gifted by the artist himself. These new acquisitions sit alongside our pre-existing collection of Morimura’s work – five works that explore the nature of masculinity and the power and status of the photograph in the 20th century, including one where Morimura appears as Gandhi. All nine new photographs are currently on display on lower level 2 of the Gallery (as you descend the escalators) until 18 May 2016. These are works that command more than a passing glance. The narrative that unfolds across the full suite of images is nuanced and leaden with detail that rewards close inspection. Come and get lost in the hall of mirrors.